Update 5.8 for SMITE is live! Get ready to meet the new God Chernobog, the Lord of Darkness! Prepare to devastate your enemies with Crystallized Curses! Chernobog throws a massive crystal of curses which damages everything at the point of impact; additionally, after a set amount of time, the crystal explodes damaging and rooting those caught in the blast! With Vicious Barrage, Chernobog fires an enlarged crystal shred which impales enemies and damages them like a basic attack. What is more, every foe hit with Vicious Barrage gets one stack of Heart of Cold, our Hero’s Passive ability; when an enemy gets three stacks of heart of Cold they explode and damage everyone close to them. Also, Vicious Barrage detonates any Crystallized Curse in its path. 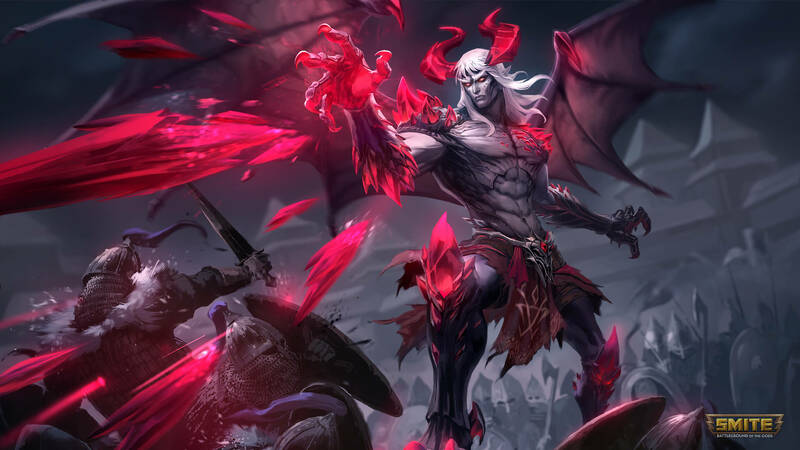 With Into Darkness, Chernobog uses his wings to dash forward as a shadow damaging everyone in his path and slowing them down, while Living Nightmare, his ultimate ability, summons shadows at his opponents’ location which can be used as teleportation points; the Hero can choose any of them to exchange places with and get bonuses in movement speed, damage mitigation, plus refreshed cooldowns. Furthermore, with the new update come brand-new God skins for the Eunited Cu Chulainn, Chompy Chibi Fenrir, Northern Ranger Hachiman and Fat Loki Cabrakan plus the Divine Uprising event where three new pantheons will be released in the game and you must join Bellona as she sets out to meet them! Unlock all rewards and get exclusive skins and the limited Tier 5 Divine Dragon Bellona!